Waste from a home is sent to a box, which holds it for awhile, then it slowly trickles out into the yard in a drain field, where the microbes in the soil further break down the waste. In a conventional system, a functioning septic system does a good job at breaking down bacterial and viral harms from the waste, but it does not address nitrogen pollution. In an advanced treatment unit (or Best Available Technology aka BAT), there is an additional step of treatment in order to better treat the waste and reduce the nitrogen in it. A common method is to inject oxygen into the system, which allows different microbes to grow that can better break down and treat the waste. In modern developments, homes have a back up drain field set aside so that if something goes wrong with the original drain field, there is another suitable plot of land. In older homes, septic systems were installed without back up, or reserve, drain fields. In these homes it is critical to treat the waste properly before it can reach the drain field in order to prolong the life of the drain field. When a drain field fails, that means that the critical last step of waste treatment is not happening. Fixing this problem can be extremely expensive, depending on the fix needed. Clean Water Action has been active in septic policy in Maryland. Pollution from septic systems is a growing problem for the Chesapeake Bay, but especially in local waterways. In Anne Arundel County, southern Maryland, and on certain rivers on the Eastern Shore, insufficiently treated waste is posing both a bacterial and nutrient problem for water quality. Because this is a decentralized problem, it is difficult to point to a single solution that will solve it, and this water quality degredation is a death by a thousand cuts, as opposed to a single pipe causing problems. This pollution is also a problem for individual homeowners. Many homeowners are septic systems are also on wells, where their well may be at risk from not only their waste, but also their neighbors' waste. Testing drinking water and preventing problems is the responsibility of each homeowner, as opposed to people on sewer and public water where there is continual water testing and monitoring of wastewater treatment. When a septic system fails, that financial burden is largely shouldered entirely by the homeowner. When the homeowner does not have the means to fix it, the problem goes unfixed, presenting a problem for surrounding neighbors and users of the downstream waterways. In Maryland, septic systems are oftentimes only inspected at the time of property transfer, which is the worst time for homeowners and homebuyers to find out that there is a problem. If a septic system is no longer working, the fix can be upwards of $50,000, depending on the conditions on the ground. Even worse, not all of these poorly functioning systems are caught at property transfer, sticking new homeowners with costly fixes in homes where they do not yet have enough equity built up to afford the fix. In Maryland, property transfer inspectors have to take a course but are not licensed and there is little recourse for wronged homeowners. HB 190 - Establishes a Definition of a Failing Septic System (Delegates Lafferty and Qi): this bill has passed the House of Delegates and has been introduced to the Senate. This bill establishes a baseline definition of what constitutes a failing septic system. HB 539 - Wastewater Reuse (Delegates Cassilly and Wivell): this bill is on 3rd Reader (the final vote) in the House of Delegates. This bill allows that potable wastewater does not have to be directed into the septic system. Currently, backwash from drinking water treatment systems is flushed into the septic system. When large amounts of water are flushed all at once into a septic system, they scour and agitate the water in a septic system. This scoured, mixed water gets pushed out intro the drain field where it can lead to premature failure of the drain field. Drain fields are set up to accept liquids, not solids from a septic system. This bill allows this water to be reused for other purposes outside the home, like watering lawns and gardens! SB 353 - Licensing Onsite Installers and Inspectors (Senator Young): this bill received an unfavorable report due to its vote 5 FAV - 4 UNFAV - 1 Abstained - 1 Absent. This bill would have created a license for people installing septic systems and those currently unregulated property transfer inspectors. 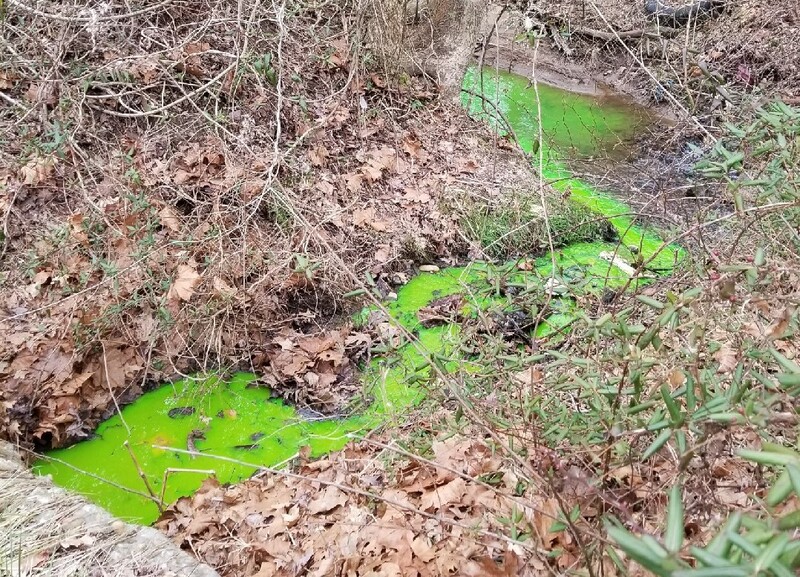 This bill, as amended, was supported by the environmental community, septic industry, and the environmental health officers and had no opposition. SB 851 - Enabling Bonding of Bay Restoration Funds for Full Septic Repair (Senators West and Young): this bill was withdrawn by the sponsor. This bill would have enabled counties to buy bonds with a portion of their Bay Restoration Fund allocation (aka the Flush Fee money) in order to offer low interest loans to homeowners needed to complete septic repairs. Currently, the Bay Restoration Fund includes a grant program to provide homeowners with nitrogen-reducing septic tanks, but has very little for drain field repairs. Drain field repairs can be the most expensive part of rehabilitating an existing septic system, especially for older homes that do not have a reserve drain field. Maryland has a lot of septic systems that are not properly functioning, and we need to create a new funding source to facilitate these repairs. We will continue to work with other stakeholders to figure out how we can make more funds available to help homeowners fix their problem systems for the benefit of the environment, public health, and their investment in their home.